There are times, however, when the expectations of what labor and birth should have been like, do not come close to what actually happened. This can be at the very least disappointing, and worse, emotionally and physically traumatic. 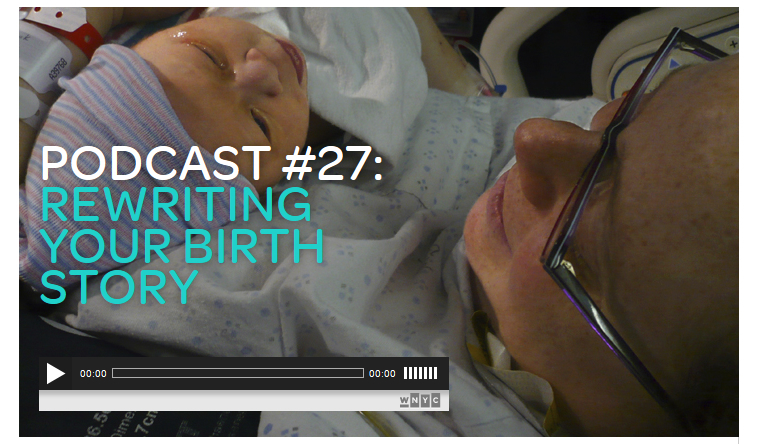 Perhaps it was a natural birth that ended up in unwanted or unnecessary interventions, a complicated c-section, or lack of concern toward the laboring mom's frame of mind. It could be one person, one word, one action that changes everything for that mother, and finding emotional healing is not always easy. 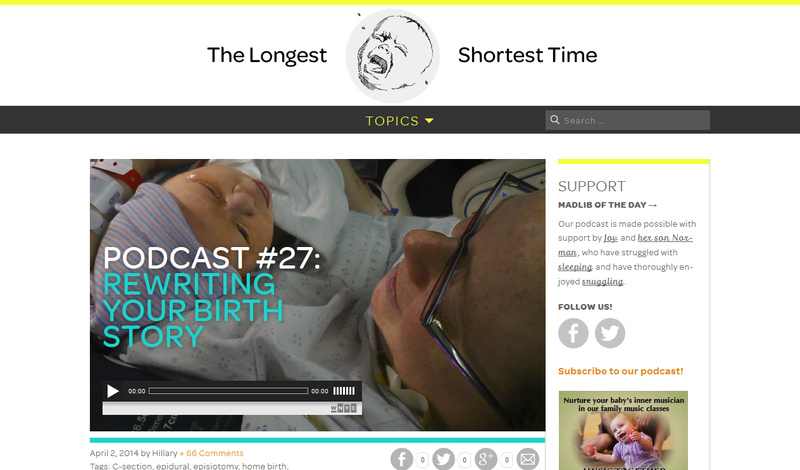 We invite you to listen to The Longest Shortest Time's podcast, "Rewriting Your Birth Story," as Hillary Frank, writer and radio producer, explores the trauma she felt in her own birth story. With her are the midwife who participated in the birth of her baby daughter, as well as maternal care researcher Saraswathi Vedam. We welcome your thoughts on how we can help mothers who are feeling trapped by negative emotions surrounding their birth stories find their road towards emotional healing. Please share your insights with us.